World's Happiest Countries - Which Locations Make the Top 5? Book a flight to your happy place. Two major reports published this year rank the world's happiest countries and offer travelers some winningly convivial destinations. The World Happiness Report — commissioned by the United Nations — offers a snapshot of the state of happiness in today's world, while the Happy Planet Index report measures how countries balance personal well-being, environmental impact, and life expectancy. Plan your next trip right and the happiness just might rub off on you. Crowning The World Happiness Report, Denmark proves you don't need the sun to have a sunny disposition. Its position at the top of a list dominated by Northern European countries suggests that there's something about the high-latitude attitude that promotes happiness in its inhabitants. Finland gets the happiness equation right, with a healthy work-life balance and a high overall quality of life. Not only does that make a more contented populous, but it also means visitors will be in good company among locals who embrace leisure time, family, and of course, vacation. 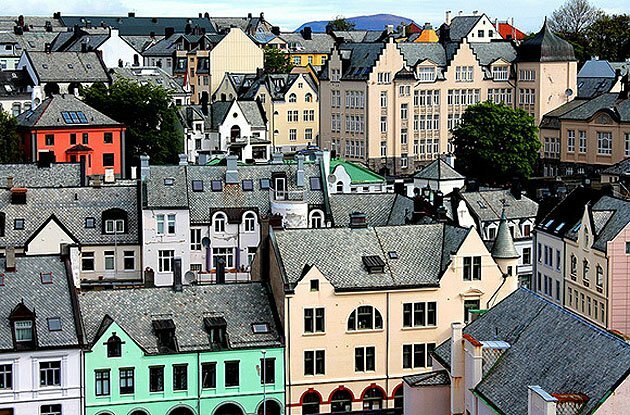 Not only does Norway score high on happiness charts again and again, but it also regularly ranks as one of the world's best places to live. You don't need a permanent address to embrace the best of the country, though: From summer's midnight sun to the northern lights of winter, there's plenty to make travelers smile. 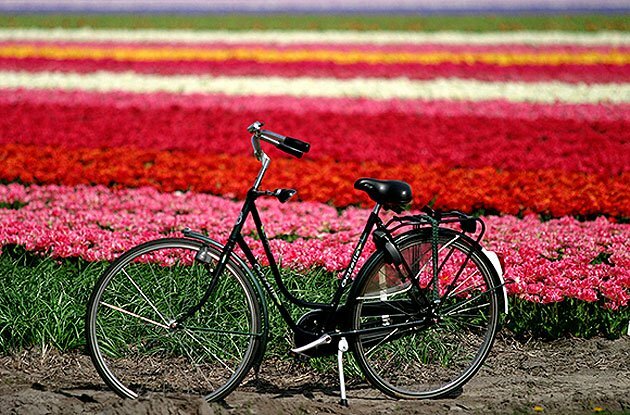 Are the tulips and bicycles signs of happiness or reasons for it? That's the chicken-and-egg question from the Netherlands, which ranked as the fourth-happiest country in The World Happiness Report. 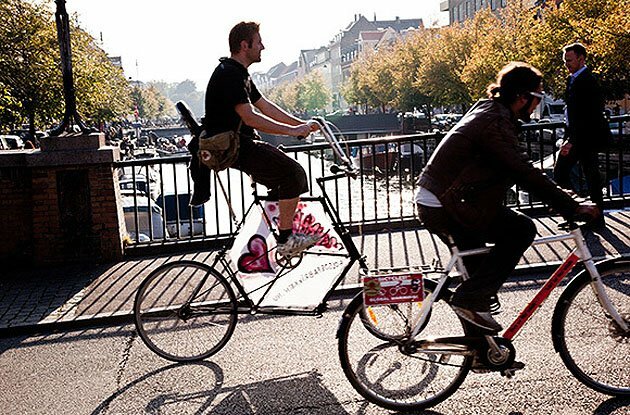 The Netherlands showed a surprisingly equal distribution of happiness across its entire population. We'll take that as a sign that there's enough to share with visitors, too. North America's top contender on the happiness scale, Canada is a destination closer to home for U.S. travelers looking for some vacation joy. With high scores for political freedom, strong social networks, and health and economic stability, Canadians have plenty to smile about. 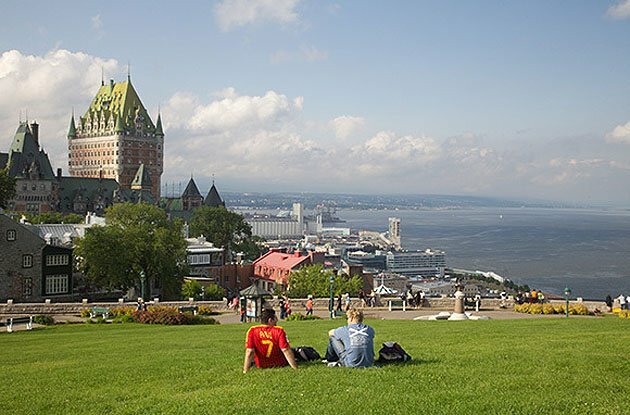 For the cheeriest getaway, head to Quebec, which ranked highest among the individual provinces.